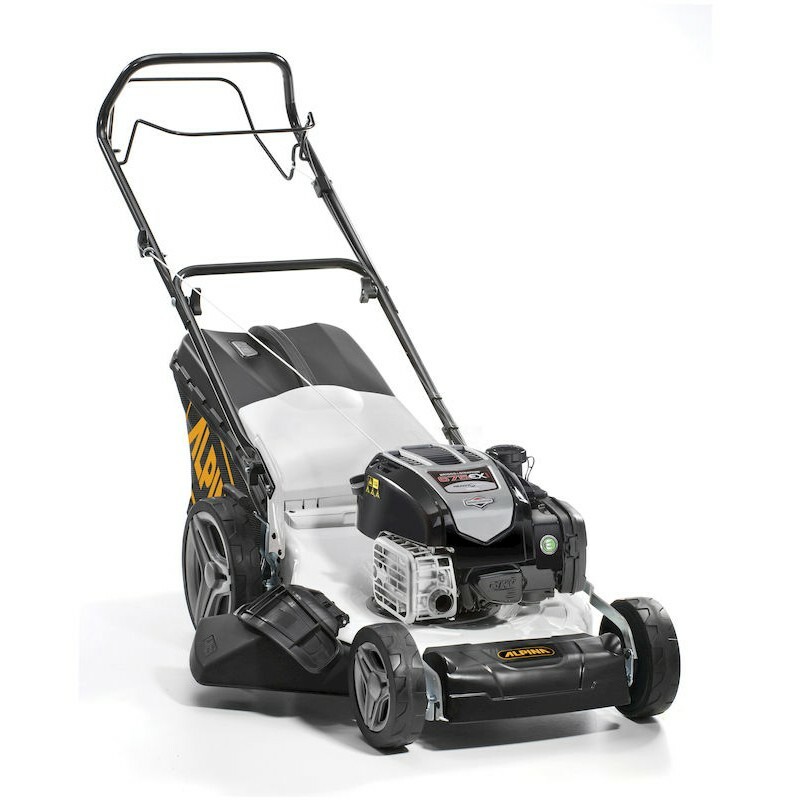 ALPINA PETROL LAWN MOWER AL3 46 B: Alpina AL3 51 SBQ comes with a light and easy-to-empty 60 liters hybrid grass catcher with warn indicator and a Briggs & Stratton 163 cc engine. The cutting efficiency is at the top with the mulching system and the easy collecting together with rear discharge or side discharge if the grass is too high. Alpina AL3 51 SBQ is a easy-to-use and comfortable lawn mower thanks to the ergonomic adjustable and fold able handlebar with the centralized cutting height adjustment and the wheels are on ball bearings plugs. The comfort-ability is combined with longevity through a robust steel chassis enriched with a powder coated paint finish. The 51 cm cutting width makes this Alpina lawn mower suitable for large sized gardens up to 2300 mq.